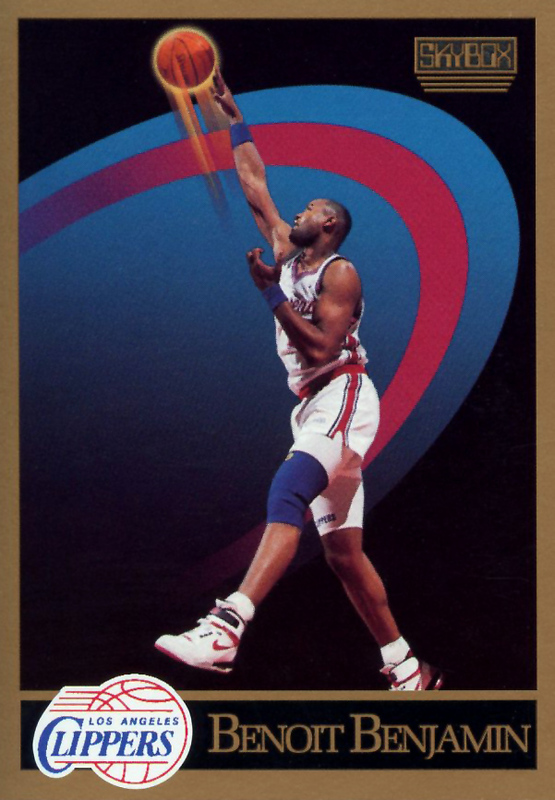 The Kicks on Cards Collection is back for another round of basketball card sneaker sgihtings, this week featuring Scottie Pippen in the Air Pippen II, Penny Hardaway in his Air Jordan IX PE, and more. Welcome to Friday and another edition of the Kicks on Cards Collection. 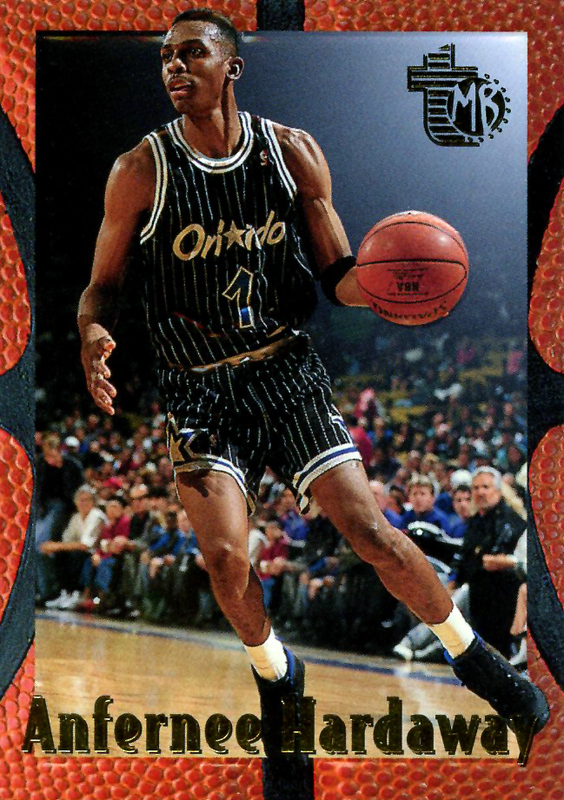 This week is jam-packed full of sneaker heat spotted on basketball cards, beginning with Scottie Pippen in the Nike Air Pippen II. From 1998, the simple and sleek Air Pippen II helped usher in the Zoom Air cushioned, streamlined designs that would characterize Nike's basketball models from the Alpha Project in the late 1990's and early 2000's. 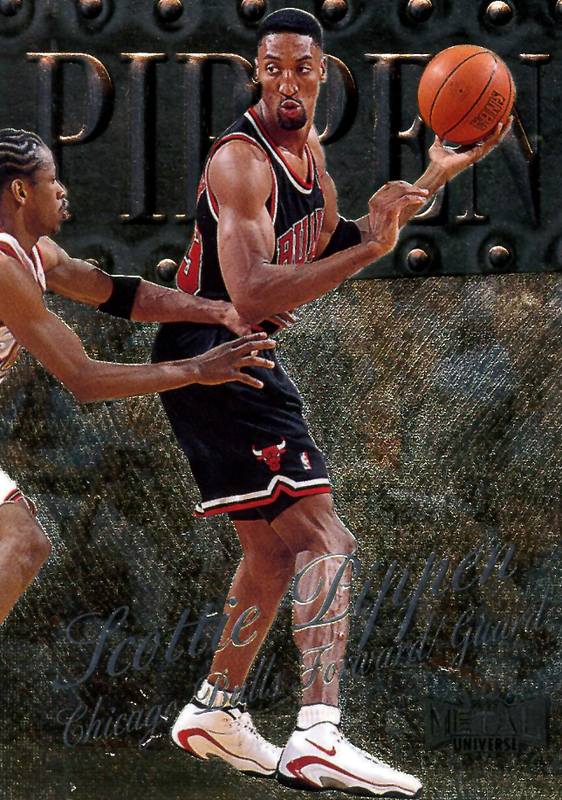 On this card we get a clear shot of Scottie's pair white-based colorway (along with a cameo appearance by Allen Iverson). Next up is fellow 1990's NBA superstar Penny Hardaway, with a rare look at his Air Jordan IX PE in the road "Charcoal" colorway with Magic blue accents. With the many Air Jordan 9 Retro colorways hitting the market in a seemingly constant flow, a look at Penny's awesome PE pair from 1994 makes you wonder why Jordan Brand hasn't dropped this colorway again. Who would love to see Penny's PE return? 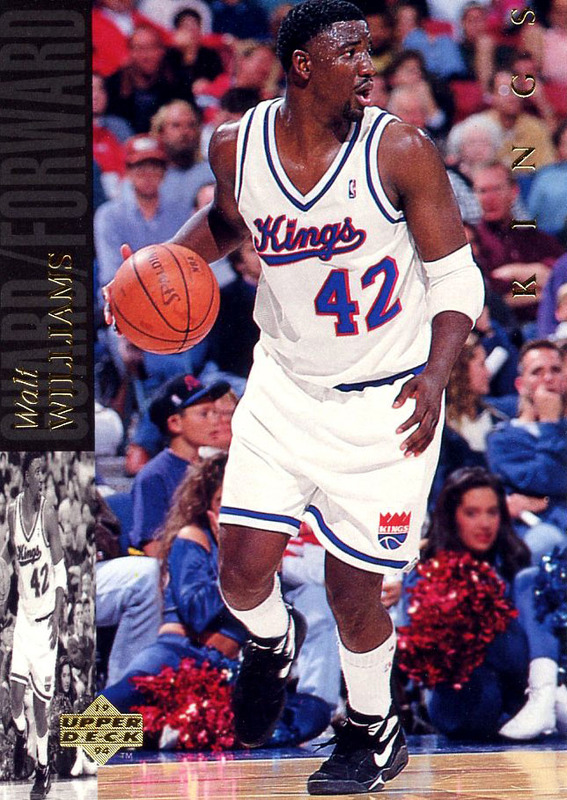 Follwing Penny is Walt Williams and his calf-length socks, seen here in the Nike Air Solo Flight in its 1993 version. The Air Solo Flight '93 is more or less a higher cut Air Maestro with visible Air. An awesome shoe, but one we've still never get the retro love. 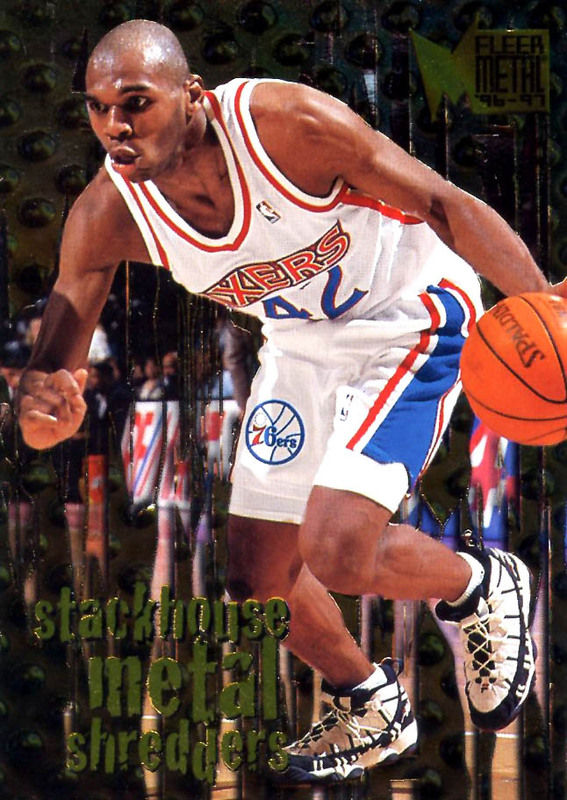 Finishing up this week's five card set is Jerry Stackhouse in the FILA Stackhouse and Benoit Benjamin in the Nike Air Revolution.